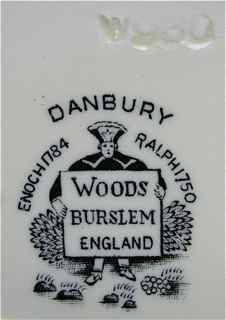 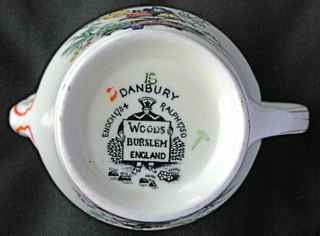 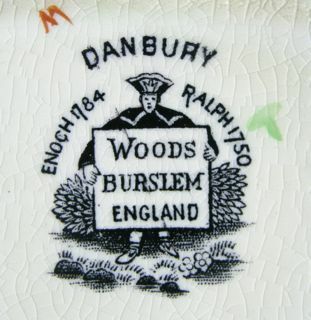 A very similar design is Woods' Norbury pattern, also from 1930 - the photo (right) shows two creamers for comparison - Danbury is on the left. 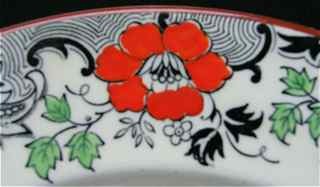 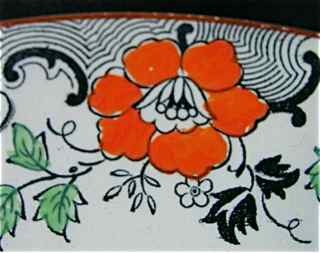 These items shown above are in the elegant "Spencer" shape, also found in Woods' Manchu, Yo-San and Stafford patterns. 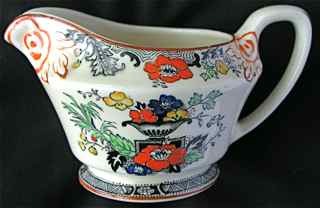 Note the distinctive red trim near the handles and spouts. 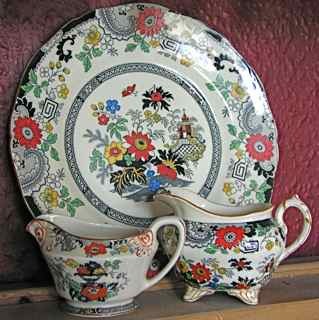 Both patterns are clearly influenced by Coalport's Canton pattern, which dates from the same period - the photo right shows a Coalport Canton dinner plate and gravy boat with a Danbury creamer on the left for comparison. 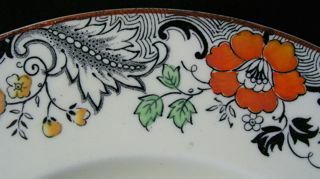 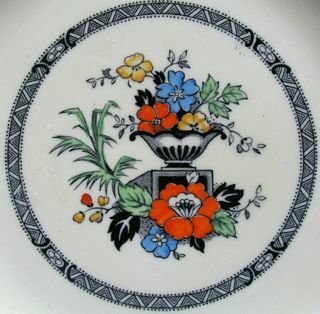 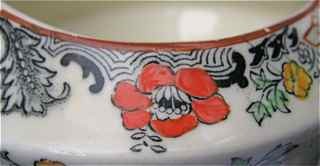 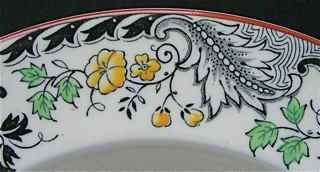 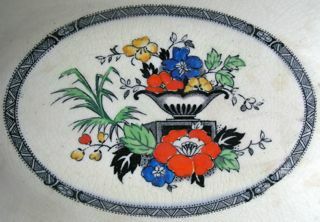 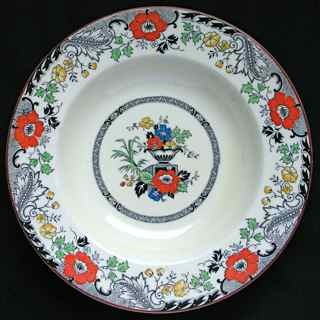 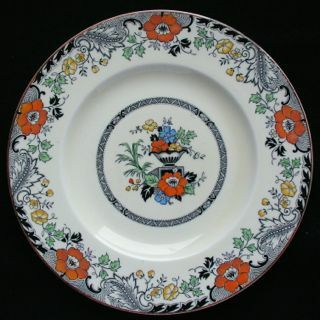 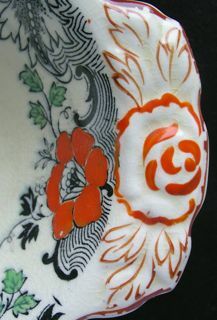 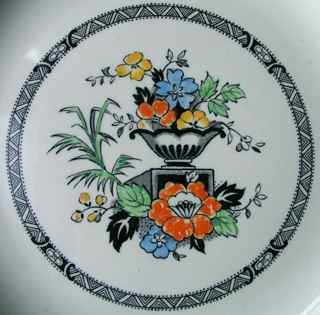 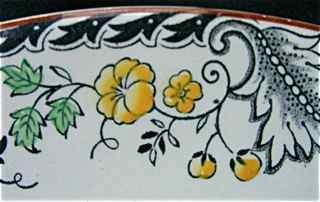 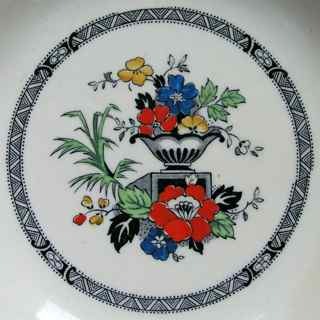 Note the intricately detailed black border on all three designs, the similar flowers and identical colouring - the main difference being that the Coalport design also includes a pagoda. 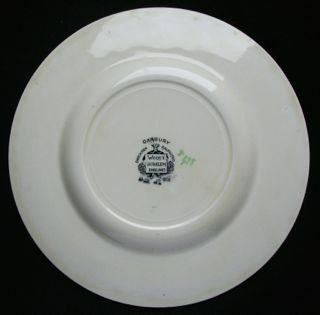 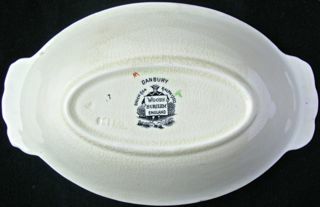 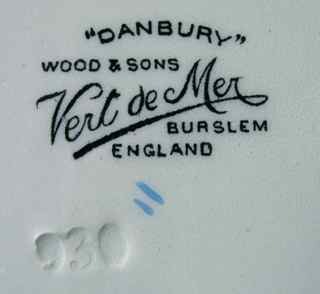 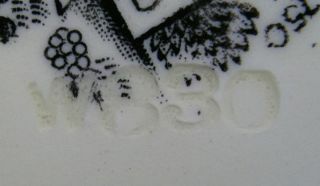 Danbury items can occasionally be found with a greeny-coloured glaze in place of the creamy one, with the Vert-de-Mer logo included in the backstamp. 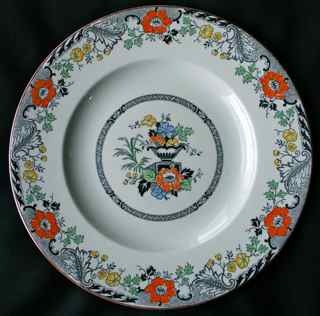 A plate of this kind is shown below. 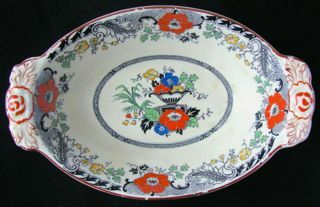 an extremely attractive item, showing the distinctive hand-painted red trim on the handles characteristic of this pattern.